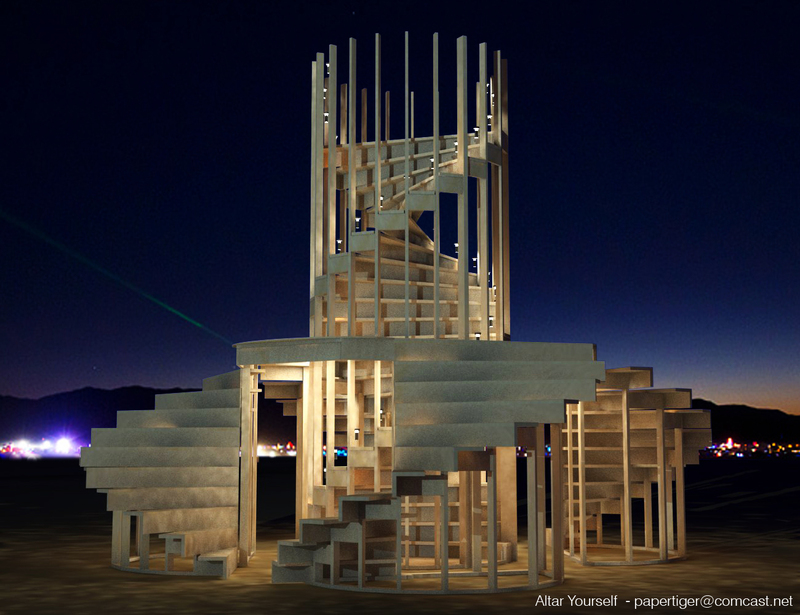 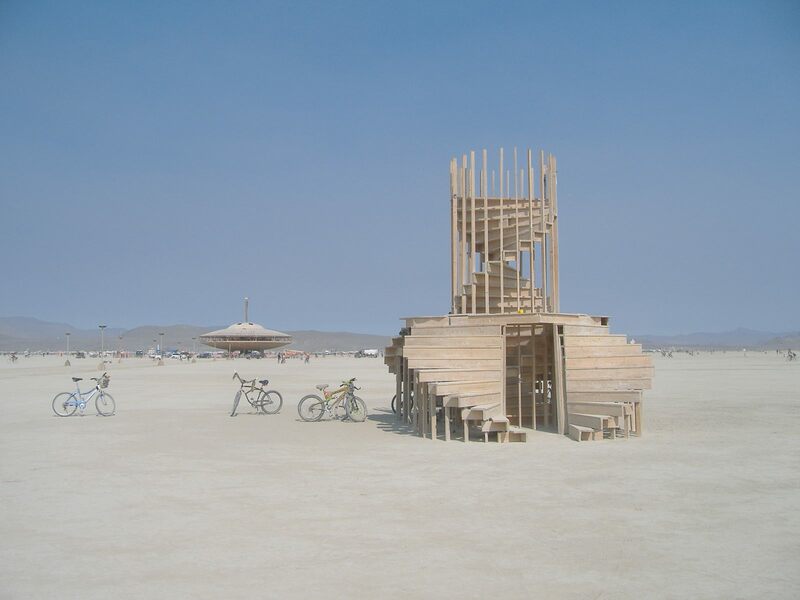 Created for the alternative arts festival “Burning Man” in the Black Rock Desert of Nevada, this large scale sculpture entitled “Altar Yourself” was created by myself and Charles Parson and built by us with the aid a group of friends. 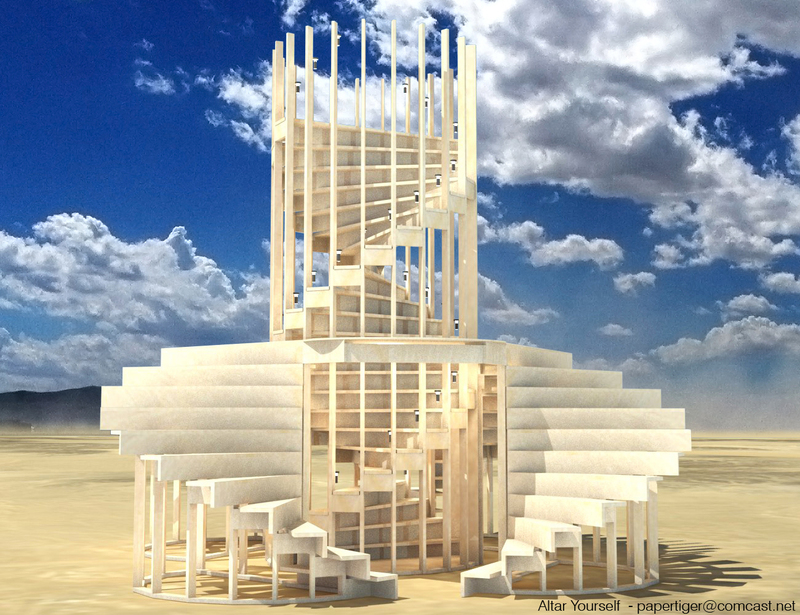 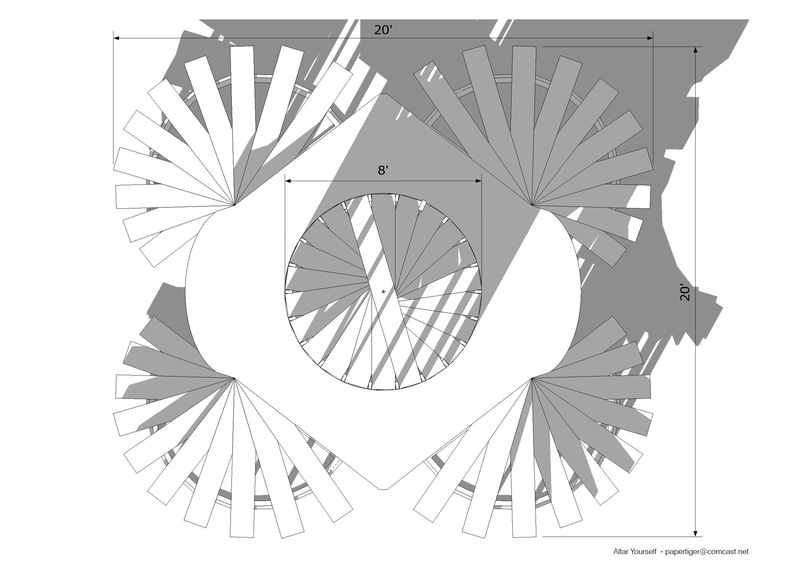 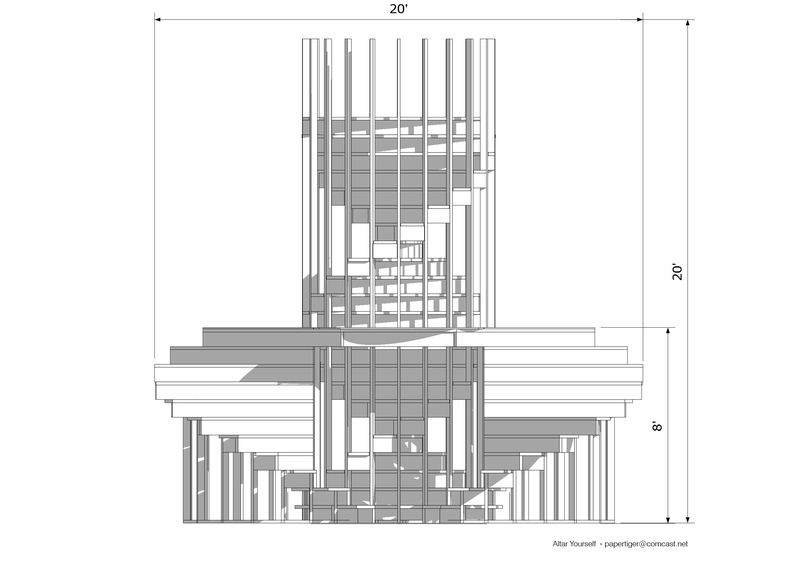 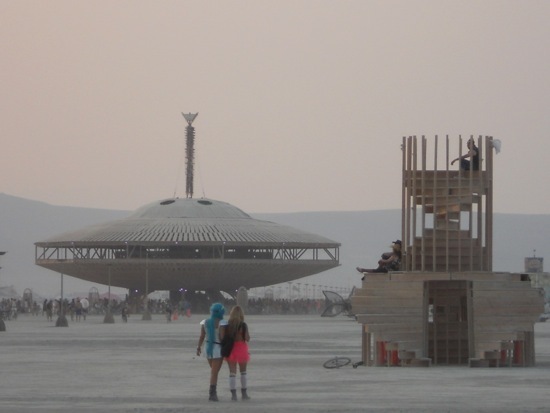 On top of the logistics of delivery from the east coast, construction was done on site and proved extremely challenging, with dust storms, 60-70 mile an hour winds that lifted the central tower into the air and smashed it, having lumber stolen multiple times plus the short time frame to build. 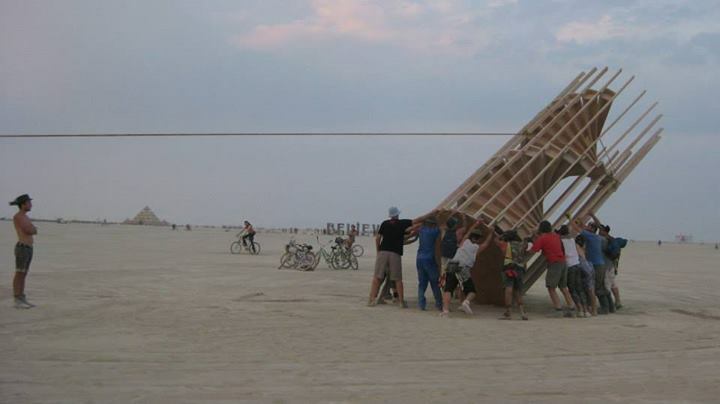 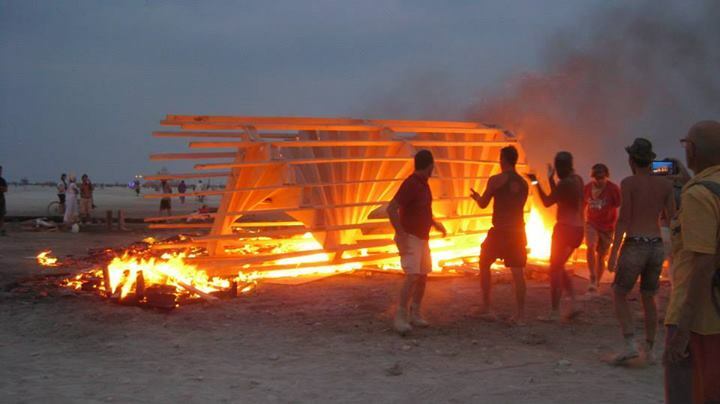 It received funding from the Burning Man organization. 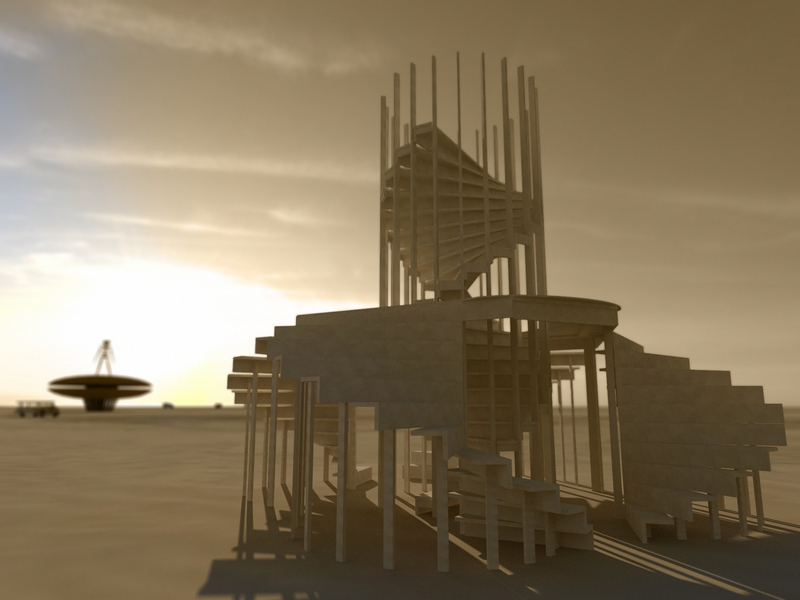 The first three images are renderings, the last is from the Huffington Post, where it was featured in an article on temples at the event.